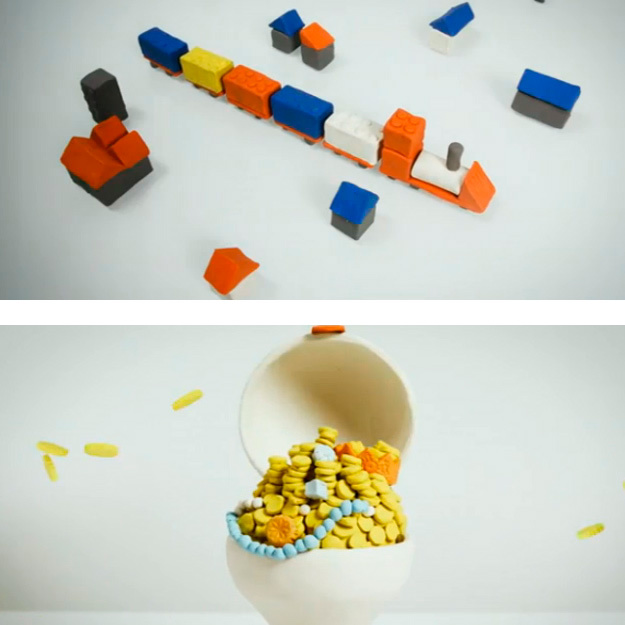 Design company theTeam were asked by Glaxo Smithkline to produce a series of animations to promote Global Digital Services. This was to be a new umbrella company which would handle the digital and on-line presence of all the corporation’s brands. Working with the director Bill Porter I produced a large number of plasticine models for the animators to shoot. The idea was that they would be simple models using a small palette of colours. This also meant that everything made of plasticine had to be kept smooth and clean. The end results are a trio of great animations that get the information across clearly and with massive amounts of charm.